Internet access. Maybe a cafe. And books, of course. A downtown Anchorage library is moving closer to reality. 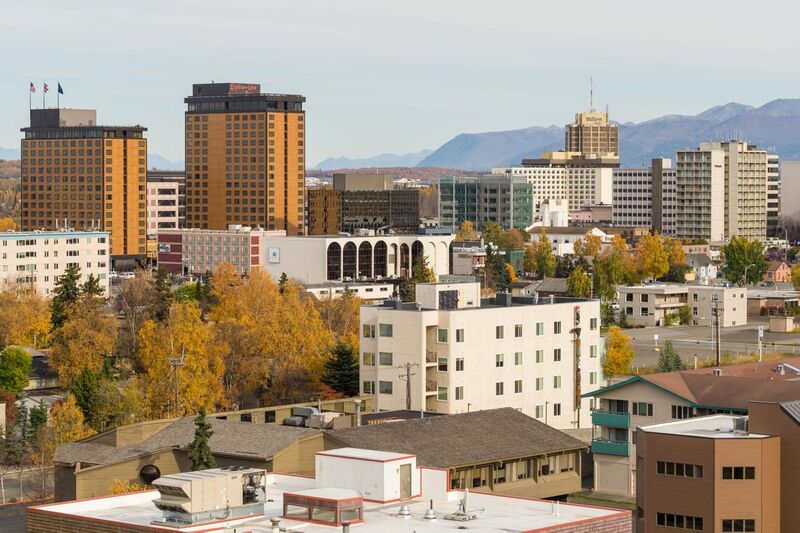 A longtime Anchorage resident's dream of bringing a public library back to downtown is inching closer to reality, and may fit in with bigger plans to rejuvenate the city center with more apartments and attractions. Plans being circulated by city officials call for a small library with a modest budget. The space would have lots of windows, internet access and maybe a cafe. It would be close to Anchorage's Town Square Park. With few public spaces left downtown, there are questions about how to make a library inviting to everyone while serving teens and adults who need social services and have nowhere else to go. But so far, the main obstacle has been money. Past efforts to build a library fizzled because there wasn't a solid business plan. Now library officials say there's more money and momentum than ever. Janet Goetz, who lived downtown for decades and died in 2009, specified that her and her husband John's estate should be used to create a downtown library. According to records and interviews, Goetz was upset when the library closed in 1986 and moved to Midtown. She gave money anonymously for years in hopes of seeing a branch reopened close to her little house on Second Avenue. The Goetz trust became available about two years ago. Now it's grown to $7.8 million, dedicated explicitly to a library in the main downtown grid. The Anchorage Library Foundation, the nonprofit that raises money for the library, also has close to $2 million for the project. Summer surveys last year found a lot of interest. An intern from First Alaskans Institute interviewed dozens of people, including downtown workers, tourists, teens at Covenant House, clients at Brother Francis Shelter and people at summer concerts. People generally wanted more reasons to go downtown that don't involve spending money, said Clare Ross, the library development director. "The other thing that was cool — people want to use the library to get books," Ross said last week. A 2009 library community plan found that Anchorage should have twice as many branch libraries as it does now, Ross said. The city still doesn't have enough money to pay the estimated annual operating expenses of $500,000, Ross said. That money would cover three full-time employees, a part-time worker, security and equipment costs. One option is waiting until the money in the Goetz trust grows big enough to cover those costs, Ross said. But she said she's hoping a creative developer can help speed up the process. She and other officials will soon meet with developers and shop around the business plan. A few major projects are in the works. Cook Inlet Housing Authority plans to build apartments and retail at Seventh Avenue and I Street. David Irwin and Mark Lewis have proposed a hotel and apartments at the current site of the downtown bus depot, and senior housing at L Street. The Egan Center, the former Legislative Information Office and the Alaska Center for the Performing Arts are also on the short list of buildings that could incorporate the new library. On Friday, about a dozen members of an exploratory committee on a downtown library gathered in a City Hall conference room to discuss the business plan. There were plenty of questions. Chief among them: how to make a likely magnet for users of social services welcoming to everyone. "It is a difficult issue," Mary Jo Torgeson, the library director, said during the meeting. "We are open to everyone; if people behave, they're welcome." David Levy, a member of the Anchorage Library board, asked whether the library would build its own building or move in with another organization. Ross said a lot of downtown businesspeople are generally worried about safety, vandalism and loitering, all problems long associated with the area around the East Third Avenue homeless shelters and the downtown transit center. She said it's critical not to have a library in a spot far from the busier parts of downtown. "We want to walk the line between making (people experiencing homelessness) feel comfortable without being known as the 'Brother Francis day shelter,'" Ross said. Ross said the new library can be designed in an open way to enhance security. Before the renovation of the Loussac Library was complete, it was dark, the construction walls were up, and there were a lot of complaints about bad behavior, she said. But since the newly redesigned library opened, Ross said, those complaints have subsided. Moira Gallagher, who leads the Live. Work. Play initiative at the Anchorage Economic Development Corp., said the downtown library could also cater to small to mid-sized organizations that want to host fundraisers, or dance groups that need a rehearsal space. Buying and renovating a building would cost an estimated $1.5 million. Ross estimated that it would take a $12 million endowment to pay all the library's bills. Right now, the plans call for a space of about 3,500 square feet. "We're not going big here," Ross said last week. Note: An earlier version of this story misattributed a quote about business concerns on safety, vandalism and loitering to David Levy. The statement was made by Clare Ross. Also, First Alaskans Institute was misspelled, and the last name of Moira Gallagher was misstated.